When it comes to harem pants, it´s like father like son for my boys. My husband loves harem pants (the joggers version) for casual-chic outfits, and his love for harem is channeled to my son´s casual outfits. I can´t believe how gorgeous my little man looks when clad in harem, exactly just like his dad! I like how this style of pants can be dressed up for parties or occasions where you want your lil man to look well dressed but not over dressed. Take a linen harem pant and pair it with a nice button down shirt and you got an instant dressed-up look. No need of mix n match, this t-shirt and harem pants set is ready to wear. I prefer to complete the look with a pair of shoes that is tonal to the pants. I really love this vintage jeans harem pants, there are so many ways to wear it. 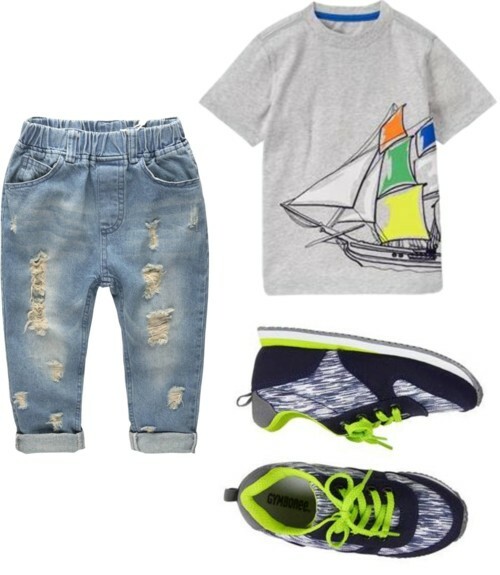 What I created here is a totally laid back, casual look with the shoes as the main statement. But you can also switch the t-shirt with a cozy dirty-white button down shirt with long sleeves. You know, sleeves rolled up and shirt un-tucked? P.s. Shirt and shoes are 50% discount at Gymboree. Here´s the closest get-the-look combo I could create to mimic the the top photo, but these harem pants are made of cotton instead of linen. 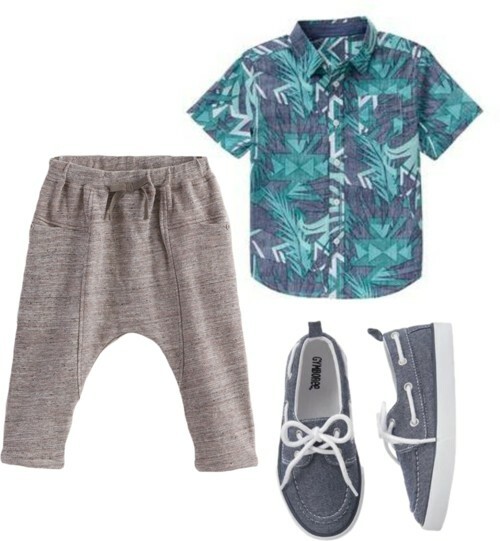 I love the summer feel of the palm print shirt and the chicness of the boat shoes – both perfect to finish the harem look. So what do you think, mommies? 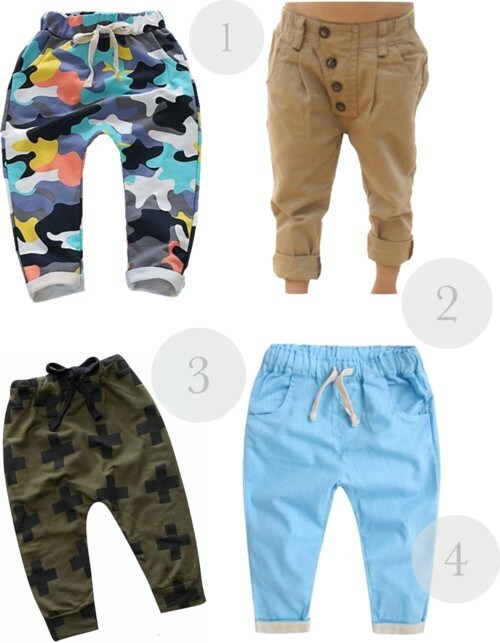 Are you into harem pants for your toddler boys, kid boys and big boys?